It’s a proverb that’s nagged every boy and girl since they were old enough to attend school, take piano lessons, mow the lawn, or make the bed. Whether it be a father, mother, teacher, preacher, husband, or wife, the saying has become the most repeated piece of advice known to mankind. Coined as long ago as 1550, the expression “use makes perfect,” has been used to inspire, encourage, trick and manipulate anyone and everyone into painting another room, running another mile, or spending 10 more minutes on piano scales. Yet, if you practice the same chore or skill incorrectly over and over again, it’s likely to lead to streaky walls, shin splints, or carpal tunnel. For without proper instruction, one is likely to bang his or her head against that freshly painted wall. 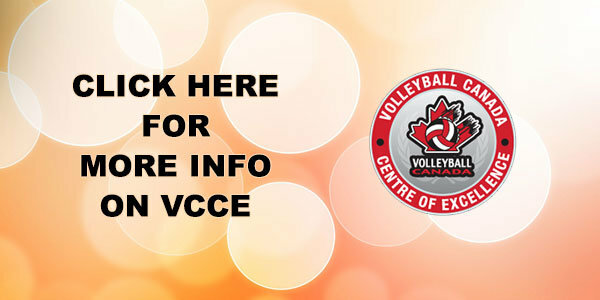 Volleyball Canada began making strides to better link practice with perfect in 2011 with the introduction of the Volleyball Canada Centre of Excellence (VCCE). Introduced at the Richmond Olympic Oval in B.C., the initiative expanded to 24 centres in 2013-14 including Mississauga’s Pakmen Volleyball Club. Simply put, the program is intended to achieve what competition and game planning can’t — improving players’ individual skill levels. “Our young developing athletes spend more time in competition (playing games) than in training and development (practice). To add to this, practice time is typically spent on developing team systems in preparation for games,” explained VCCE program manager Dawna Sales. “While this produces short-term success on the court, the technical skills of our athletes are being left behind. The VCCE aims to improve the training to competition ratio by offering additional training without the need to compete as a team. And three of the best coaches in Canada have been enlisted by Pakmen to head up its VCCE program, former Canadian national team member Dustin Reid, along with Matthew Harris and Michael Amoroso. And, as they say, the proof is in the pudding, as last year’s three participating teams — U15 and U17 boys and U16 girls — reached unprecedented heights. “Our U15 boys won Nationals, while our U16 girls and U17 boys each had historic seasons, winning both the Provincial Championship in their own age group and the age group up. “This is certainly the main goal and one of the reasons we do not focus on team outcomes or system outcomes,” said Sales. “Our coaching ratios are no more than 1:10 to ensure feedback and quality reps are taking place. It is critical that our best blockers become excellent passers, and that each athlete can set a high ball outside (for example). Along with representing Canada in more than 120 international matches including two World Cups, the 1994 World Championship and two Olympic qualification attempts, Reid is entering his eighth year as head coach of the successful Ryerson Rams women’s volleyball program. Playing professionally in Europe for four years, Reid backs up his talents with coaching smarts as an NCCP certified Level 3 volleyball coach. Association programs, the Volleyball Canada Centre of Excellence Toronto, as well as several Athlete Development Programs. Pakmen U18 Gold teammates Sharone Vernon-Evans and Jordan Figueira are true believers in the program and what those extra skills can mean down the road. 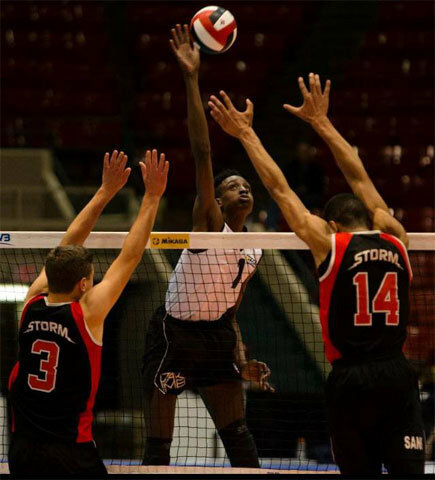 Graduating from Scarborough’s Agincourt Collegiate in the spring, the perennial Ontario Volleyball Association all-star plans to continue his career at a Canadian university next fall. Figueira also intends to study in Canada next year. The 6-foot setter, out of Oakville’s Saint Thomas Aquinas Catholic School, hopes to major in Commerce, while continuing his volleyball career on a varsity court. “I have learned many different skills and tactics throughout these sessions, such as different ways to pass, or dig a ball when put into troubled situations, how to assist block on the middle and many other things. Along with what’s listed above, the VCCE program also claims to include leadership training, strength and conditioning and integrity. Figueira looks forward to what lies ahead this year with further exposure to the VCCE program. Among those special coaches Figueira was referring to is Amoroso, who is now a full-time contributor. A five-year star as a middle blocker for Queen’s Golden Gaels, Amoroso graduated with a Bachelor’s Degree in Gender Studies before playing professionally in Europe with stops in Sweden, Greece and Germany. He also represented Ontario at the Canada Games and played on Canada’s Junior National Team. Along with the tangible contributions, Amoroso hopes to ingrain values and strengths in his young charges. Asked to expound on what Amoroso meant in playing, “every day to win,” he reflected on his upbringing. Currently an employee of eLTee Consultancy, which works exclusively with male and female volleyball athletes, Amoroso jumped at the opportunity to join Mississauga’s VCCE program full-time. Ultimately, Amoroso hopes some, or perhaps many of the program’s graduates, enjoy the successes and memories he experienced. “I wanted to have the opportunity every season to outperform my contract and move to different levels,” explained Amoroso of his many travels. “It is common for volleyball players to only sign one-year contracts, especially as foreigners outside their own countries. This gives them the opportunity to move up in level and in compensation until they find somewhere they would like to stay for multiple seasons. If a club likes you, they will sign players for consecutive seasons as well under different terms. And, as a “talent scout and manager of the athletes,” for eLTee Consultancy, “helping guide them through the process, advocating for them on every level and advising them from a position of recent experience in their shoes,” Amoroso can prove to be a good sounding board for late teens considering their futures after graduating from university. If nothing else, the VCCE program is certain to teach players the proper way to practice in order to strive for perfection.